This week at Quietfire Design, I get to kick off our Christmas in July week! With temps in the 90s here, Christmas sounds quite far away but it's amazing how it sneaks up on you... it's only 22 weeks away! lol! 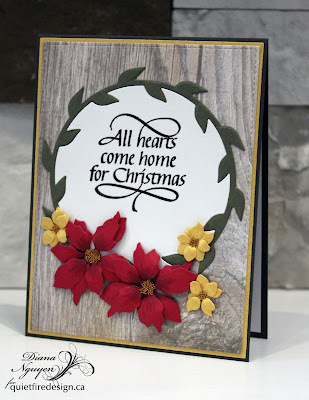 I thought the new wreath die from Rosebud Wreath & Elements would be a perfect frame for this Christmas sentiment. I stamped in black and then clear embossed the sentiment. I used the same wreath die to cut out the sentiment so it would nestle in the wreath. I added a couple of small poinsettias and gold flowers (Poinsettia and Hydrangea dies are from Elizabeth Craft Designs) to the bottom of the wreath. 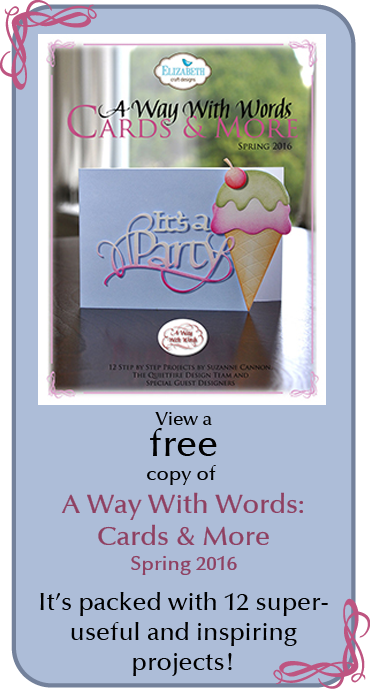 Hope you get inspired this week to get started on your Christmas cards! 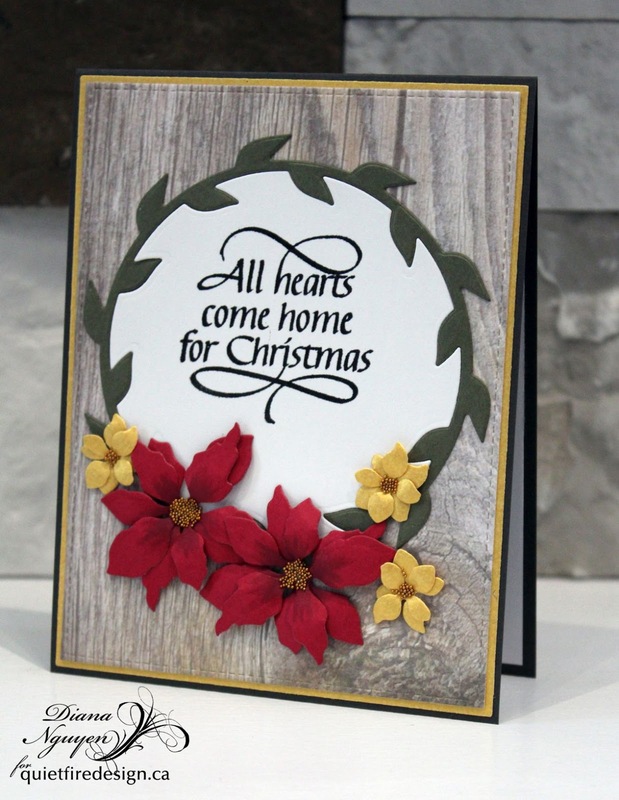 So pretty with the sentiment framed by the wreath and the wood background. Very pretty!! The flowers on the bottom really makes the whole card pop. 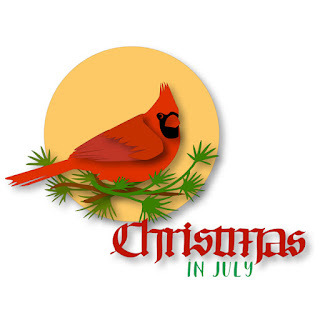 I LOVE Christmas in July! (I’m a July baby and feel it only fitting!) I am impressed by this lovely creation, as well. I moved away from home after college and my favorite song was “I’ll Be Home For Christmas”— although it usually made me cry. Even if I couldn’t be there, my heart was! This sentiment is so true— it’s like Suzanne reads our minds when she creates her beautiful stamps. I think rather than using this as a card, I set it on a stand to use as a decoration. Well done! Sorry. Can’t even blame auto-correct for that one! So pretty. I like the die insert technique and the wood background. Love the wreath encircling the sentiment. Thanks for the chance to win! 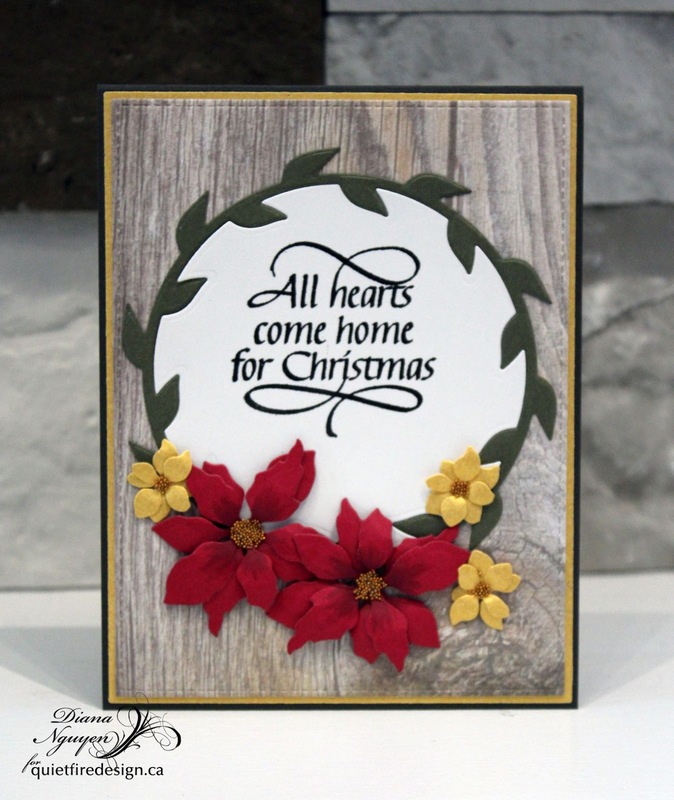 Beautiful wreath with a heartfelt sentiment. Love your beautiful wreath. Great background idea.